Last week we’ve finished Sprint #4 and deployed some exciting new features! Transactional Emails are emails sent by WordPress/WooCommerce about order statuses, passwords, etc. With the majority of cheap hosts, you’ll use the default mail servers which too often have issues with deliverability. The large majority of WordPress managed hosts require you to set up a third party Transactional Email provider, like SendGrid or Mailgun. This is by far a better solution but it’s cumbersome to set up, especially in the beginning when you just need to test things and have more than enough work with everything else. 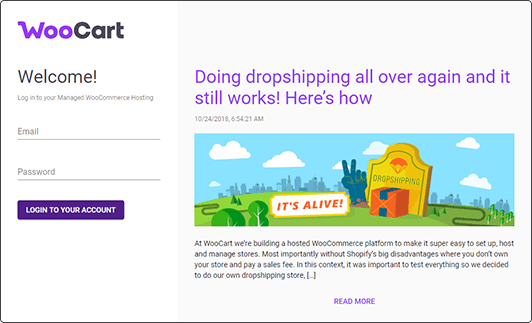 That’s why all Stores in WooCart will get Shared Transactional Emails setup as standard. The stores will use a shared subaccount on SendGrid, with some reasonable limits and anti-spam checks which will be a perfect solution for most cases. In one of the next sprints, we’ll upgrade this feature so that when you start using your own domain, we’ll automatically move you to your dedicated SendGrid subaccount and set up the DKIM and SPF fields for superior deliverability. In short: transactional emails are taken care of so you can focus on more important things. 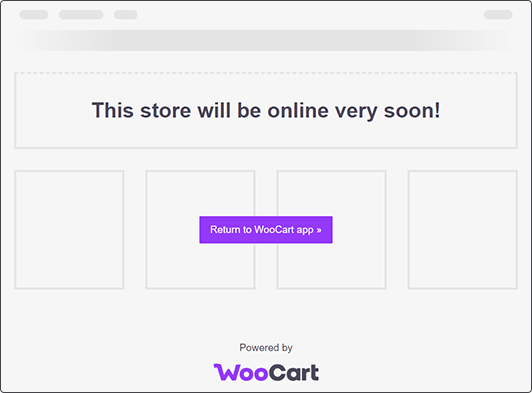 There are always too many passwords to manage so why not just use a 1-click login to any store in the WooCart dashboard? A very elegant solution that simplifies store management immensely, especially if multiple people manage multiple stores. This one was huge and we’ve been working on it for weeks. All stores are now backed up daily and you can run a manual backup. Contact Form 7 is one of the most popular plugins for WordPress. You want your visitors to have an easy way to contact you and there’s nothing easier than a contact form. That’s why we install, configure the plugin, and add a basic form to the contact page. In EU, and probably in the majority of other countries, publishing full company information is required by law. So why not automatically prefill that? When you add your client’s (or your own) information in the Wizard, we’ll prefill the Contact form with the company information and add the company name to the legal pages. Another problem solved! These are completely cosmetic. We’ve redesigned the login page so that it’s prettier and shows a nice excerpt from the latest blog post, and the plugin selection is designed better for mobile viewing. Matei wrote a fantastic blog post about how he started and advertises our own dropshipping store. A secure-conscious Early Adopter reported this bug. Account emails can now only be lowercase, as opposed to creating multiple logins with different capitalization. Previously we only had the default server error pages in white. Now, we show a nice preview when the store is being deployed.